Journeyman jockey Adrian Layt left it until the last race meeting of Goulburn’s 2017/18 racing season but he delivered a vintage performance in piloting home a treble of wins from just four rides on the day. The hoop was in rare form, greeting the judge first in Races 3,4 and 7. Layt delivered early on the card with the up-and-coming Cinderconi, trained by Hawkesbury conditioner Jason Attard. He then squeezed everything he could out of debutante Magic Wu in a tight tussle in Race 4. The Magic Albert two-year-old tasting success for Gerald Ryan in his first raceday experience. 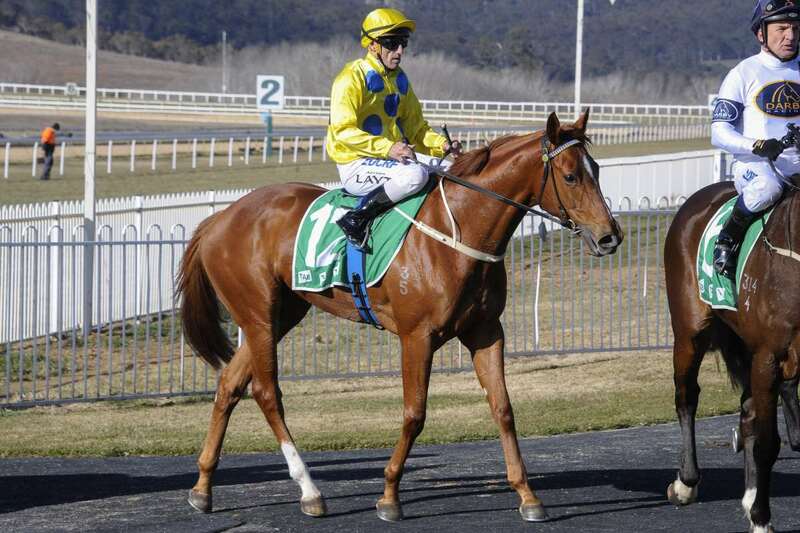 Layt then stepped up in the last on the Goulburn card and proved the old sporting adage that when you’re hot - you’re hot! Despite having no early luck on Mister Mcilroy for Gary Neale, Layt was able to keep the in-form gelding travelling sweetly to eventually find the lead at the top of the straight. From there both rider and horse found plenty under pressure to hold off all comers and round out a red-letter day for Layt. Goulburn Race Club CEO, Robyn Fife, said while the premierships went the way she had expected heading into the meeting it was great to see a hardworking jockey like Layt steal the show at club’s last outing for the season. “Adrian’s been coming to Goulburn for many years through thick and thin and it was great to see him boot home a hat-trick of winners at the meeting,” Ms Fife said. "The club and its directors congratulate all of our premiership winners including Danny Williams (trainer of the year), Scott Collings & Keith Dryden whose local mare Can She Kiss shared the Horse of the Year honours with the John O’Shea-trained Dawn Raid. “Regular Goulburn visitor Jeff Penza secured the Jockey of the Year award whilst Rachel King won the Apprentice of the Year title. We kick off next season with a big month of racing, hosting three meetings in August, the first of which will be held on Friday the 3rd."